Ariel and Eric all give us relationship goals to strive for. They’re basically Disney’s all-star couple! 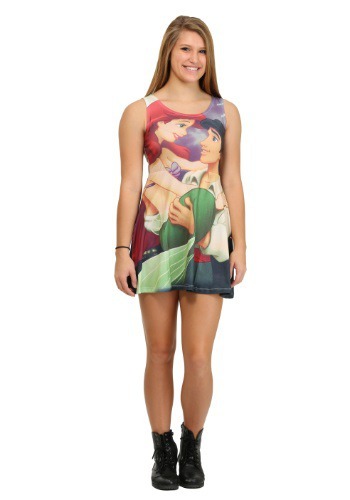 If you admit to being a teeny bit jealous of Ariel and Eric’s romance, you need to wear this tank dress. The Little Mermaid Love Sublimated Tank Dress looks the most “aww worthy” when worn with a jean jacket and some combat boots. This dress is perfect for Disney inspired trendsetters!.